French President Emmanuel Macron criticizes statement by Brazil’s Bolsonaro that the country may back down from Paris Accord. RIO DE JANEIRO, BRAZIL – A statement made by French President before the G-20 Conference in Argentina this weekend has raised concerns in Brazil and its neighbors. 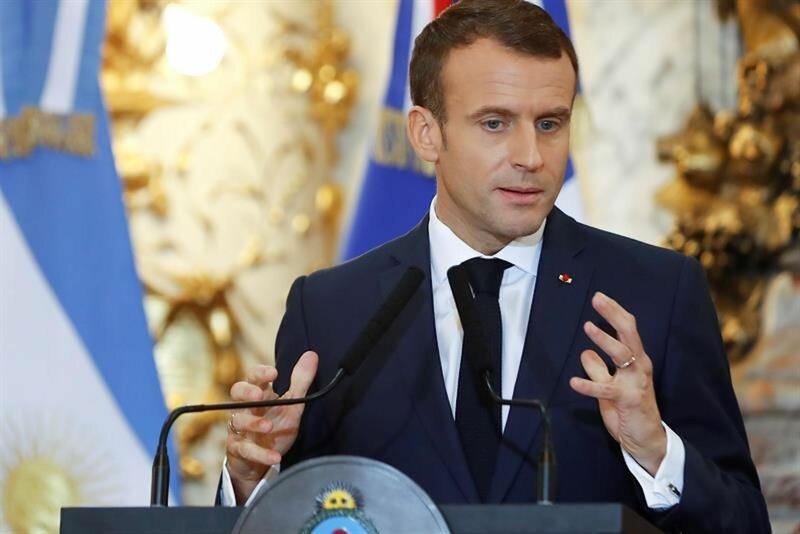 President Emmanuel Macron said that the possibility of his government supporting the EU-Mercosur trade agreement depends on the position of President-elect Jair Bolsonaro on the Paris Climate Agreement. French President, Emmanuel Macron, said in Argentina that France will not sign trade agreement between EU and Mercosur if Bolsonaro withdraws from Paris Accord, photo internet reproduction. “There was a major political change in Brazil recently, so Mercosur needs to reflect the nature of the impact of this change. I am not in favor of signing broad trade agreements with powers that do not respect the Paris Agreement,” Macron said in a press conference after speaking to Argentine president, Mauricio Macri. “We cannot ask French farmers and workers to change their production habits, to lead the green transition and to sign trade agreements with countries that do not do the same,” concluded the French leader. In response to Macron’s statement, Brazil’s president-elect said during Thursday’s nightly news program, Jornal Nacional, that the country would respect the Accord ‘as long as that does not mean losing sovereignty over most of the Amazon’. According to Bolsonaro, one of the issues in the Paris Accord is the so-called Triple A which would create a protect forest corridor from the Andes through the Amazon forest to the Atlantic Ocean. “It is a large strip of 136 million hectares, along the channel of the Solimões and Amazon rivers, which could cause us to lose our sovereignty in this area,” he argues. Tension between Brazil’s president-elect and environmentalists increased even further on Wednesday afternoon, after Bolsonaro revealed to reporters that he had asked the Itamaraty (Brazil’s Foreign Relations Ministry) to withdraw Brazil’s candidacy to host the United Nation’s Climate Conference (COP-25) in 2019. The EU and Mercosur (Brazil, Argentina, Paraguay and Uruguay) have been negotiating a free trade agreement for the past twenty years and according to political analysts the two blocs were on the verge of signing a pact.